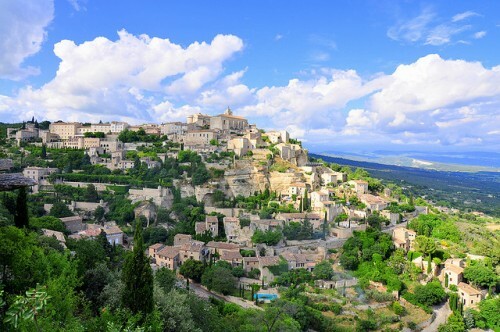 Provence….it conjures images of stone buildings with terracotta tiles perched on hilltops. Long summer days with a endless blue sky. Long lunches, wine tastings and lavender fields. Bliss. Except if you have kids! Instead of spending hours exploring the countryside, you have long hours in the car with “are we there yet?”, “have you finished your lunch yet?”, “can we go nowwwwww?”. But the wonderful thing about Provence is that it is possible to have a relaxing family holiday in France where you can explore the landmarks and must sees that you always wanted to see, and find some stuff for the kids to do too! You can do provence with kids and you are almost guaranteed that everyone will have a great time! The best time to visit Provence is the shoulder season – May/June and September/October. July and August can be pretty frantic as it seems that everyone has arrived in France at one time. The shoulder season gives you all the advantages of open markets and attractions but without the crowds. It’s also cheaper accommodation! But Provence in actually lovely all year round. December to March can be quite cool but it never rains too much and you are almost guaranteed beautiful blue skies, even if you need to rug up! Le Sagitaire – for those long, hot summer days. Provence is quite large but still quite accessible and so pretty much anywhere you stay gives you access to my most of its delights. As always, I am a big advocate of self catering accommodation with kids and some of the farmhouses and other accommodation you can find in Provence is amazing! Pools and toys for the kids, huge backyards to run around – perfect for you to sit back and enjoy the wine whilst the kids are safe and entertained! You could spend a month in Provence and still not see all that it has to offer! But that’s good news as it means you can come back again and again and again! I suggest that you try to divide your days so that some day include activities just for the kids and the other days allow you to see what you came to see! 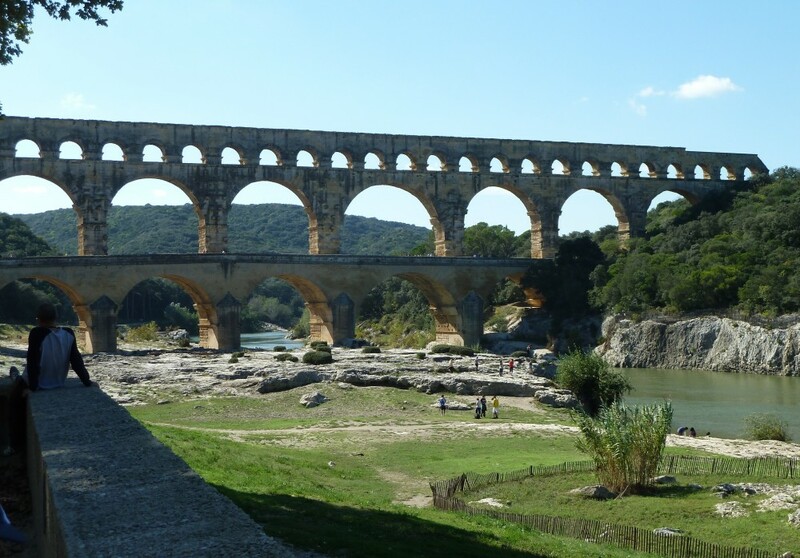 On your list might be the amazing Pont Du Gard, a bridge from Roman times that stands proud across the Gard River. It’s a Roman monument so sounds dull for the kids, but actually, it is a day out that satisfies every member of the family. The car entrance fee (a very reasonable €18 at the time of writing) covers up to 5 people in your car and give you access to all of the Pont du Gard and its museums and discovery centres. It is a huge complex with picnic areas, play areas, cafes, museums and discovery centres. Which is why we love it so much, you can design your visit in the way you want. My suggestion is to take some home made baguettes and a picnic lunch and enjoy it on the grass gazing at the Pont whilst the kids play on the playground. The kids discovery centre is great – suitable for kids up to about 13 and teaches them all about how the Romans lived. It is wonderfully interactive and full of hands on activities – you can easily spend 2 hours in there! The whole thing is pram friendly and we took our kids scooters which was great for the 300-400m to the Pont and back. A whole day can be spent at this great place – you get your history fix and the kids get the fresh air and playground! 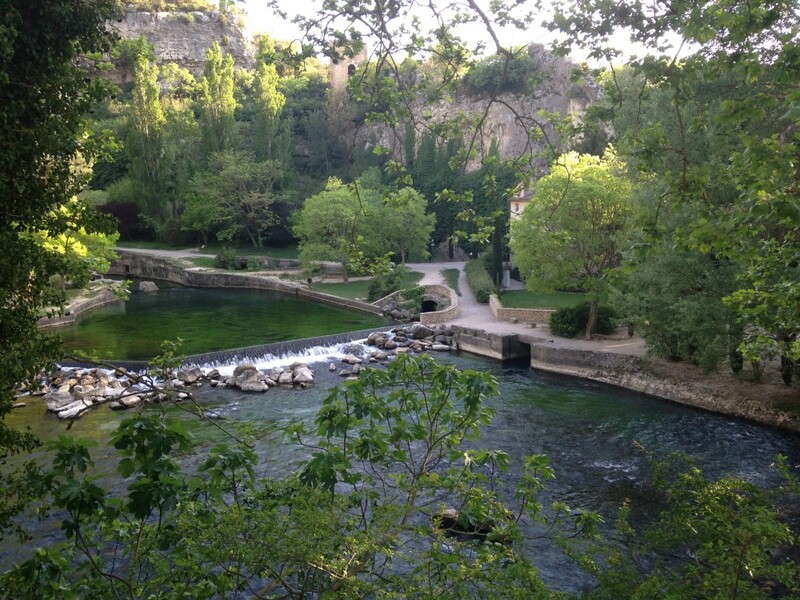 Another historic and interesting town is Fontaine de Vaucluse, literally, the fountain of the Vaucluse region. It is in the this very picturesque town that the water comes from deep below the ground and gushes forth to form the river. The town itself is lovely and typically Provencial, lots of cafes, little shops and beautiful buildings. Great for prams and scooters, and pretty easy walking as well. Spend the morning exploring the village and eating lunch at one of the many restaurants or do as we do and grab some cheap crepes and eat them at the benches overlooking the river. 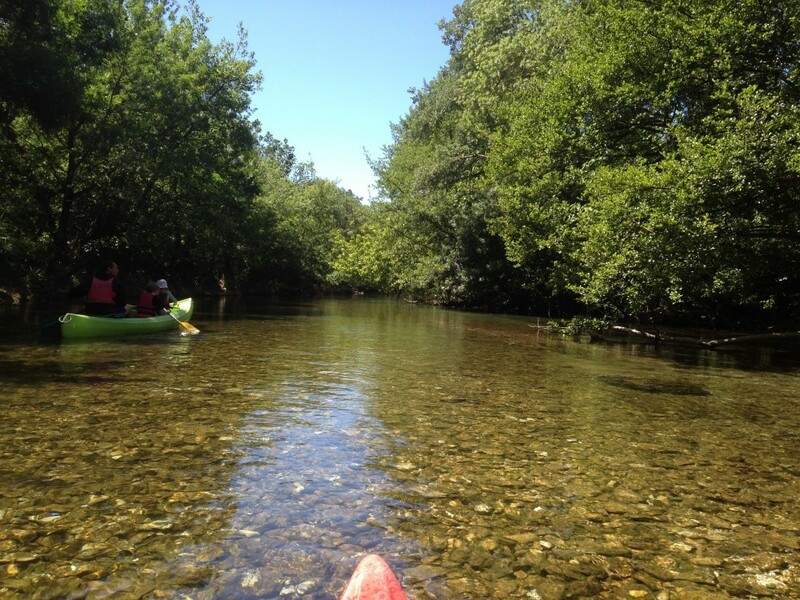 After lunch, take a guided canoe tour down the Sorgue River. My 8 year old and 4 year old boys loved it! The river itself is very beautiful, crystal clear, shallow enough that you don’t need to worry about the kids falling out and fast moving enough that not much effort is required to move along! Our guide was great with the kids and our 2 hour excursion was unrushed and enjoyable and contained a nice mid way stop for the kids to throw rocks into the river and generally play around to their hearts content! Avignon, an important historical town in the centre of Provence has the Pope’s palace and the Avignon Bridge, both important historical monuments. Take the kid friendly way around the town in the little tourist train. Great for tired legs! For a day especially for train lovers, visit the cheerful Le Jarditrain, a lovely park with lots of model trains and activities, and a cafe for coffee for Mum and Dad! There are so many places to visit in Provence that I could write for pages and pages. Provence with kids can be great fun, and you can see all the history and beauty that you want as well! 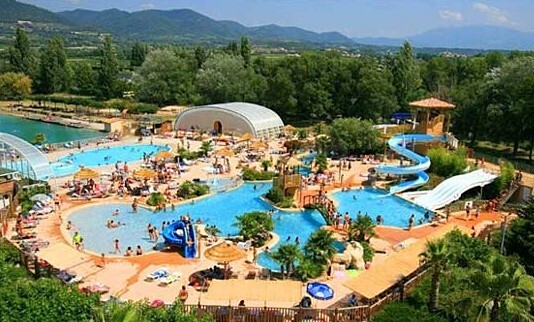 If you are looking for a perfect family holiday in France look no further than Provence! But don’t just believe me, see what other parents think worked. Just search ‘Avignon’ + 200km in our location search and see what other options there are! And if you know of somewhere else that other parents would love, please add your attraction here or write a review!